Our Akron personal injury and product liability attorneys represent those who have been injured by defective drugs and medical devices — helping our clients to recover for their injuries or the loss and death of a loved one. Often the manufacturer of a defective drug fails to warn of known risks or complications that can cause injury. 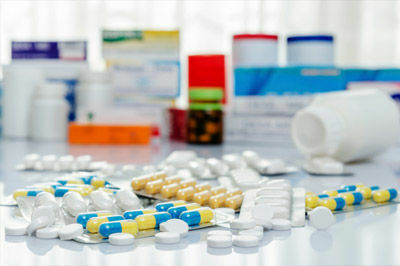 Common injuries from these dangerous drugs can include high blood pressure, heart attacks, blood clots, stroke, diabetes, damage to organs, along with other serious medical problems and even death. In addition to our current representation we have handled matters involving Vioxx, Yaz and Heart Devices. If you or a loved one has suffered serious symptoms you believe are related to a defective drug or medical device, we encourage you to contact a reputable personal injury law firm. Scanlon & Elliott’s attorneys have been helping Ohio families and others succeed on individual claims and in class action lawsuits for over 30 years. To learn more about how we can help you, please call (330) 376-1440 or complete our free case evaluation form online. Based in Akron, we serve clients throughout Ohio and also handle limited matters in Florida.